Tilted jar with a crystal ball at one side and uniquely tied rope at the other gives this unique water fountain a very distinguished appeal. 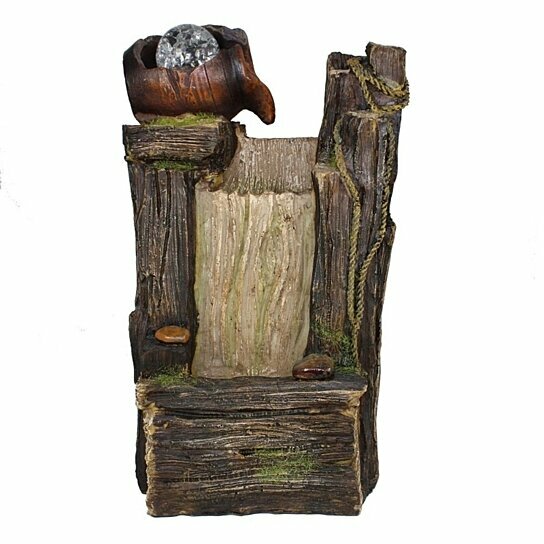 Adorned with mystical wooden charm, this fountain will instantly create a mystical feel in your home. Buy it for its shimmery finish and natural raw appeal, it will keep on adding vibrant charm to your place forever.